What is the difference between couples who make their marriage work and those who don’t. 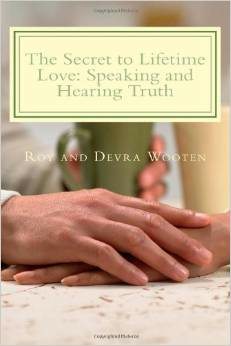 In this book, Roy and Devra share what they have learned working with thousands of families and couples. This book can be used be one person in the relationship, but is best used as a couple. It has been written for couples of all ages and stages. It has helped couples say what they need to say. The struggle in communication in which so many couples find themselves feels like a very stuck place. Applying the principles in this book and completing the exercises (alone or together) significantly impacts couples relationships positively. You take ZERO risk! If you don't find this resource helpful and worth every penny you pay, I will promptly refund your money. No problem. No questions asked. So far I have sold thousands. I have only had a refund request. Nevertheless, the offer still stands.